Here are two wildflowers that are very similar in appearance–they both have small, bright yellow flowers that are arranged in umbels and they both bloom at the same time of the year. Golden Alexanders is a 3 foot tall perennial with three-part stem leaves. The individual leaflets are ovate to lanceolate, and the leaf margin is toothed. 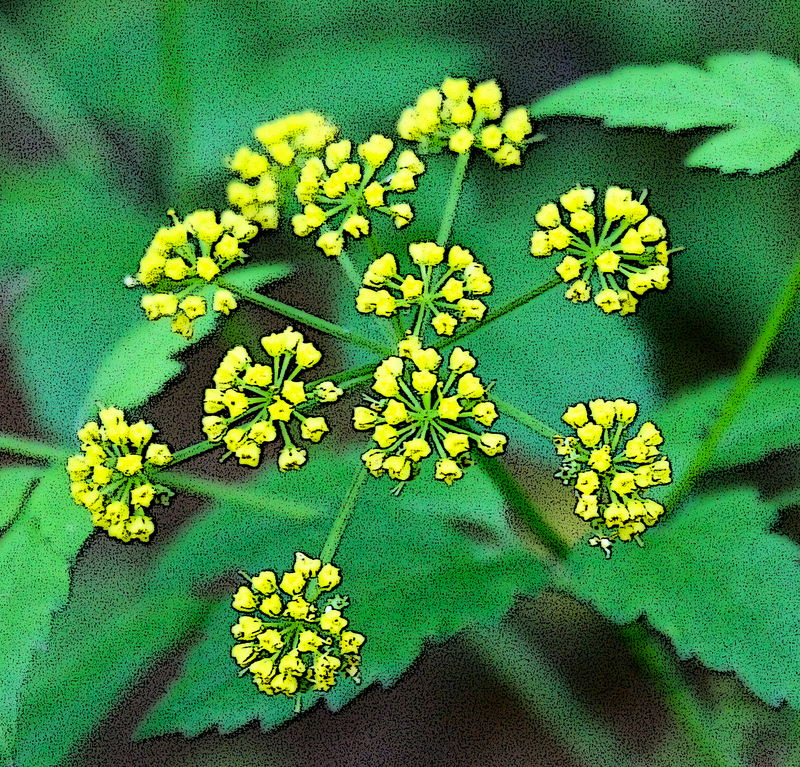 The tiny, bright yellow flowers are held in an umbel with multiple rays. The flower on each “umbellate” is sessile, meaning each flower is lacking its own stalk. In Meadow Parsnip, each flower in the umbel has a short stalk: do you see it? In Meadow Parsnip, the features of the plant are very similar to Golden Alexanders, with only one fine distinction. In Meadow Parsnip, each “umbellate” in the flower has a tiny stalk (not sessile). Having said that, I think it is still nearly impossible to tell these two flowers apart, but if you’re like me, I’d rather have two possible names for plant than no name at all!